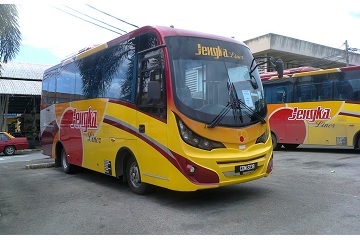 Jengka Liner is an emerging bus operator that offers bus services across many states in Peninsular of Malaysia. 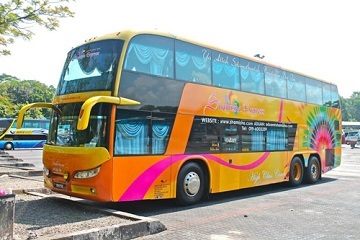 Jengka Liner has vast experience in express bus industry and it provides impeccable service to each and every customer. Currently, Jengka Liner is based in Bandar Jengka, Pahang. Jengka Liner offers daily bus services to Johor, Kedah, Kelantan, Malacca, Negeri Sembilan, Pahang, Penang, Perak, Perlis, Selangor and Terengganu. Most of their buses depart from Pahang such as Temerloh, Jerantut, Jengka, Kuala Krau, Kuala Lipis, Marang and Teriang to various cities and towns. It has about 150 bus departures from Pahang daily. 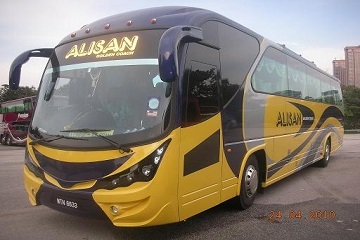 Positioned in Shah Alam, Jengka Liner is an emerging express bus company that offers bus services from SHah Alam to JB Larkin, Pasir Gudang, Singapore, Sg Nibong, Butterworth, Sg Petani, Alor Setar, Jitra, Changlun, Kangar, Kuala Perlis, Ipoh Amanjaya, Kuala Kangsar, Kamunting. Simpang Taiping. 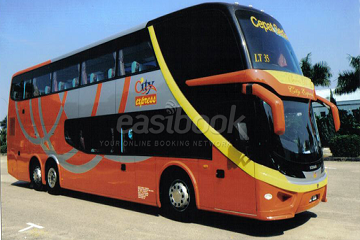 Book your Jengka Liner bus tickets at easybook.com. Jengka Liner delivers quality bus services at an attractive price. The bus route from Temerloh to Klang costs RM 16.70 while the bus route from Jengka to Klang costs RM 21.90 and the route from Kuala Krau to Klang costs RM 10.30. 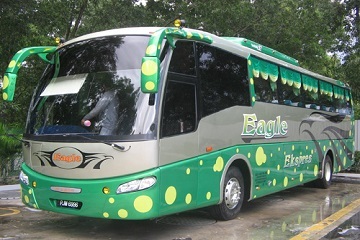 Besides, Jengka Liner also offers bus route from Temerloh to Changlun with the bus ticket price at RM 56.10 per person. 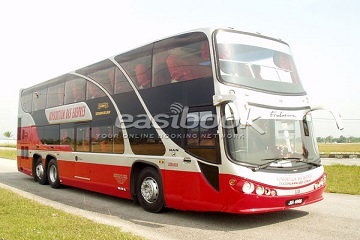 The buses offer by Jengka Liner are in single deck with 44 seats. All of the buses are equipped with air-conditioning and the buses are featured with spacious and comfortable seats for passengers travelling in the long journeys. In addition, the buses are also equipped with on-board television for entertainment. Jengka Liner takes pride in the quality of their buses. They constantly maintain all their buses in order to ensure all of their buses are in top conditions. Moreover, Jengka Liner bus drivers are experienced and well-trained to provide passengers the safest and most comfortable journey. Counter 10, Terminal Seksyen 13, Shah Alam, Malaysia.